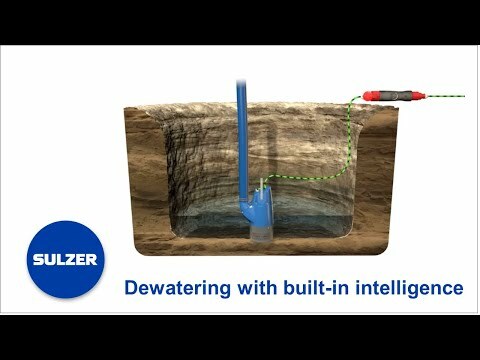 The world’s smartest dewatering pumps for applications in mines, construction sites and tunnels are equipped with the innovative AquaTronic. AquaTronic ensures correct motor rotation, gives motor protection, allows the pump to start via a level sensor, and gives you all the pump performance information in your PC, plus much more. The AquaTronic unit automatically controls phase order and changes the motor connection to make sure the pump starts with the correct impeller rotation every time. This protects the pump from overheating, saves energy and reduces wear. The built-in pump electronics eliminate the need for traditional electrical control panels. This increases ease of handling. The pump stops if there is a power overload at high amperage, a high temperature in the winding or a missing phase. In this way any crucial failures can be prevented. If the pump fails to start due to a heavy start or a locked rotor, the pump will attempt to free the blocked impeller with backspin and automatic restart. 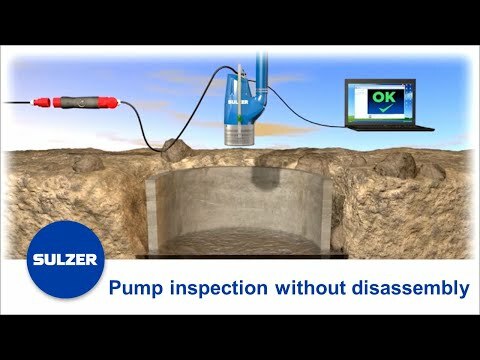 If the pump is also equipped with a level sensor, AquaTronic lowers the power consumption and wear. 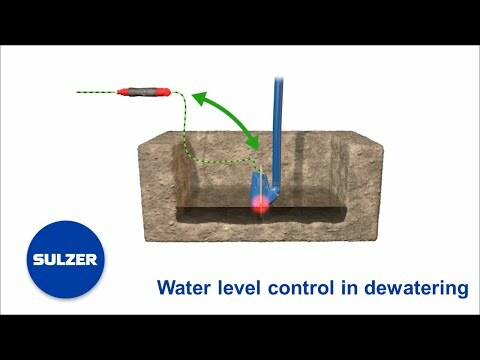 The level sensor and AquaTronic make sure the pump starts and stops at given water levels. Stop and start the pump easily with the AquaPlug and AquaTronic control panel. Both units provide flashing LED light alarms as well as indications for important parameters for easy and efficient handling. Pump status data, pump operating history, pump failure history, pump service/maintenance history, digital manual and spare parts documentation. The submersible sludge pump XJS 25 is ideal for pumping sludge and water mixed with solids. 50 Hz: 2.5 kW. Head max 18 meters, flow max 16 l/s. 60 Hz: 2.9 kW (4 Hp). Head max 20 meters (66 feet), flow max 16 l/s (254 gpm). The submersible sludge pump XJS 40 is ideal for pumping sludge and water mixed with solids. 50 Hz: 3.7 kW. Head max 24 meters, flow max 20 l/s. 60 Hz: 4.3 kW (6 Hp). Head max 27 meters (89 feet), flow max 20 l/s (317 gpm). The submersible sludge pump XJS 50 is ideal for pumping sludge and water mixed with solids. 50 Hz: 5.6 kW. Head max 28 meters, flow max 25 l/s. 60 Hz: 6.7 kW (9 Hp). Head max 31 meters (102 feet), flow max 26 l/s (413 gpm). The submersible sludge pump XJS 80 is ideal for pumping sludge and water mixed with solids. 50 Hz: 8.3 kW. Head max 35 meters, flow max 29 l/s. 60 Hz: 9.8 kW (13 Hp). Head max 38 meters (125 feet), flow max 28.5 l/s (452 gpm). The submersible sludge pump XJS 110 is ideal for pumping sludge and water mixed with solids. 50 Hz: 11.8 kW. Head max 36 meters, flow max 31 l/s. 60 Hz: 13.5 kW (18 Hp). Head max 40 meters (131 feet), flow max 30 l/s (476 gpm).